Why Separatist Camp Changes Its Vocabulary? 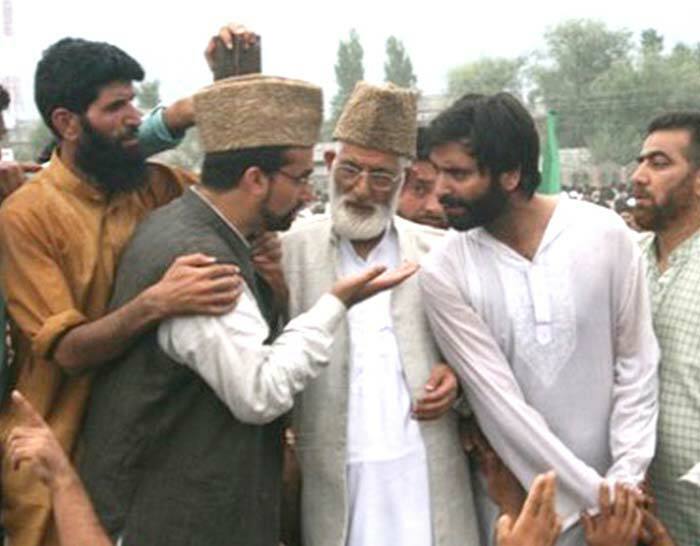 The joint resistance leadership (JRL) in Kashmir were emphatic in conveying their readiness for talks to resolve the Kashmir dispute. That’s quite understandable, assuming that they were addressing the international community as much as the Indian government. But, they seem to have gone much further: they have promised to walk an extra mile to accommodate the concerns and needs of both India and Pakistan while finding a solution to the problem. Their vocabulary has changed. The hardline separatist leader, Syed Ali Shah Geelani initially made his participation in the proposed talks conditional on India publicly admitting that kashmir is a dispute, as different from an internal matter. 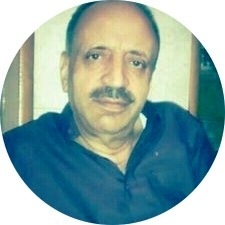 But later he became a signatory to the joint statement issued by three leaders, including Mirwaiz Umar Farooq and Mohammad Yasin Malik besides Geelani himself. In the joint statement, the JRL insists that Kashmiris, more than anybody else, have a vested interest in dialogue as they have suffered the worst during the last 70 years of the Kashmir issue hanging fire. The three leaders have lamented that senior Indian leaders have spoken in conflicting voices about the dialogue as also about the ceasefire. They noted that the home minister, Rajnath Singh, while showing willingness for dialogue with Pakistan as well as with Kashmir leadership, remarked that “Kashmir and Kashmiris are ours.” The JRL may not have said so in so many words, but they realised what Rajnath Singh was trying to convey – that Kashmir is a part of India. The JRL say the defence minister added to the ambiguity by saying that talks cannot be initiated with Pakistan unless that country stops terror. And then , they point out , the BJP President, Amit Shah put a spin on the unilateral ceasefire by his statement that it was for people, not for the militants. This, the JRL says, runs counter to the state police chief ‘s assurance that the ceasefire would facilitate the militants to come back home. However, the JRL emphasises that they are not trying to score points by highlighting these “discrepancies” (in the statements of Indian leaders). Instead, they says, they are only keen to figure out what exactly the Indian government is up to, so they could respond accordingly. It’s for the first time that the separatist leaders have talked of Kashmir’s internal and external dimensions. This expression was first used by the late Chief Minister, Mufti Mohammad Sayed . Now, other pro-India parties have picked it up too. And, it has , surprisingly, entered the lexicon of the separatist leaders. The late Mufti Sayed insisted that India should engage the Kashmir leadership to address the internal aspect of the problem and, at the same time, talk to Pakistan – which is holding part of the territory while laying claim to whole of the state, to sort out the external dimension. In other words, the late Mufti was looking for an understanding or agreement with separatist leaders within India and at the same time a separate deal with Pakistan. What the JRL means by internal and external dimensions is open to interpretation. 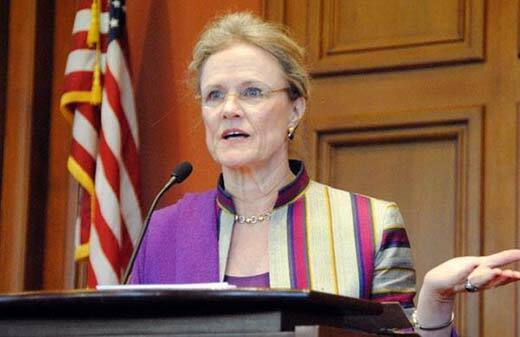 The former American diplomat Robin Raphel. But, unlike in the past, the JRL has neither insisted on tripartite dialogue among all the three parties across the same table nor pleaded for trilateral talks in which each of the three parties would speak to the other two separately. Well, that may have been put off till a later date. What is significant, though, is that the JRL has talked of a solution which is acceptable to all the three parties. Insisting on transparency in talks and and an assurances that promises will be kept, the JRL says “Talks that are so held keeping in view the concerns and needs of stakeholders especially the most afflicted party, to the satisfaction of all, will surely be successful and result oriented.” This is a far cry from the Hurriyat’s and even JKLF’s known stand that Kashmiris should be given a chance to determine their own future. The separatist leaders wouldn’t make such a determination subordinate to the “concerns and needs” of the other stake-holders viz India and Pakistan. That Kashmir should have a solution that is acceptable to all the three parties is the US stand, first articulated by the then assistant secretary of state, Robin Raphael in 1990s. She spelled it out to me in an interview for the Times of India. She, then, ruled out an independent Kashmir or Kashmir’s joining Pakistan. And she also ruled out the status quo (things staying as they are now) being a solution. She did not say what solution she or the Americans had in mind. She said she had come to stimulate the minds of people in Kashmir (and perhaps in the subcontinent ), so they could come up with a fourth option. That solution, perhaps took shape more than a decade later when Musharraf came up with his four point formula, envisaging greater autonomy to both parts of Kashmir, respectively within India and Pakistan. It also envisaged a joint mechanism of sorts for the two parts of the divided state, with LoC becoming a permanent border with free movement of people across it. The Indian government was, by and large, on board. The then Indian PM, Manmohan Singh said at a press conference in Srinagar: “Borders cannot be changed , but we’ll make them irrelevant.” This solution had the backing of America. The moderate faction of the Hurriyat Conference endorsed the 4-point formula. 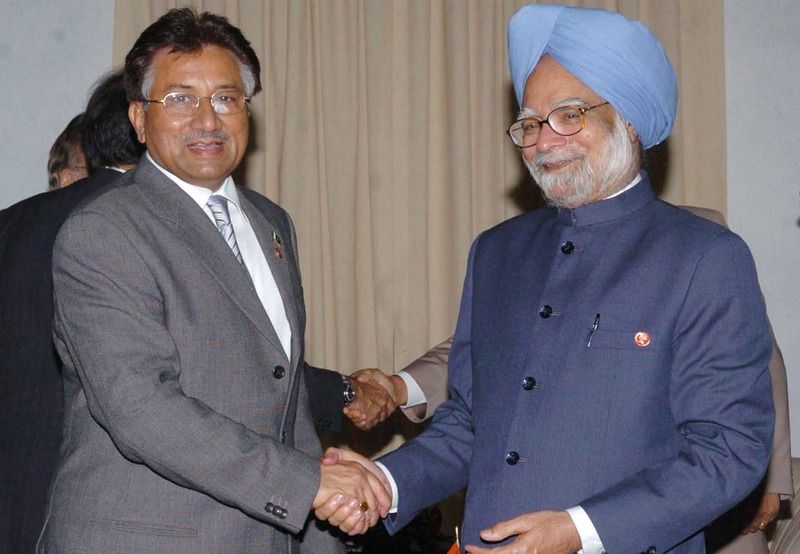 It pursued the idea even after Musharraf had quit office as President of Pakistan. Thus, when Barrack Obama became President-elect of the US, Mirwaiz Umar shot off a demi- official letter to him, seeking his intervention to find a solution of Kashmir without affecting the solidarity of either India or Pakistan. Whether a solution akin to the 4-point formula is still being seen as a possibility, is a matter of guess. But the change in separatist readers’ language is too evident . Why No One Listens To Engineers?